China Filter Paper Factory, Air Filter paper, Oil Filter paper, Fuel Filter paper, China Filter paper manufacturer, Filter paper exporter, Filter media, | Anping Jincheng Filter Paper Co., Ltd.
Our filter paper sell well both at home and abroad. We've established good & long-term business relationship with dozens of professional filter factories and importersfrom all over the world. Once our filter paper is chosen, it will be your favourite. First Quality, Reasonable Price, First Service, Fast Delivery. Welcome friends form all over the world to visit our factory, which is three hours' drive south of the Beijing Airport. 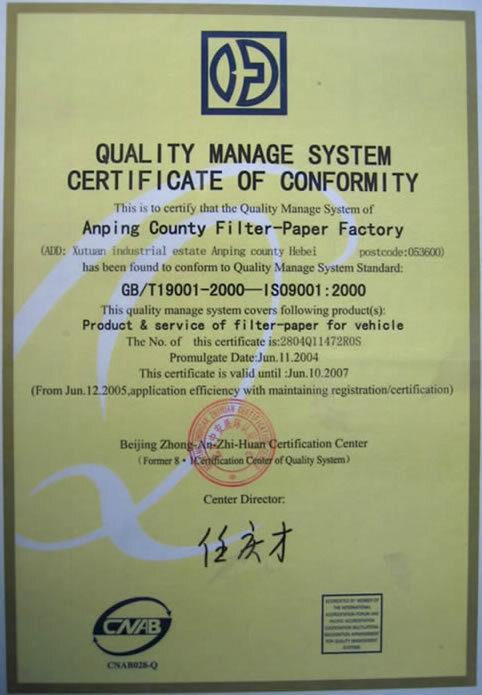 Copyright © 2007 Anping Jincheng Filter Paper Co., Ltd.